Liz is the owner of Sprout Wellness, a nutritional therapy and functional fitness practice in Portland, Oregon specializing in supporting the health, wellness and functional fitness of anyone navigating the prenatal or postpartum world. 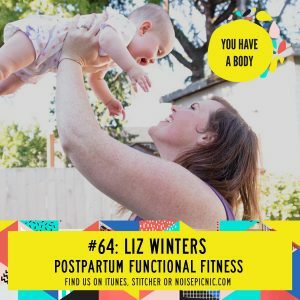 Listen in as Liz talks baby-led weaning, being in the present moment with your new postpartum body, and what the heck dead bugs have to do with core strength. Like what you’re hearing? Great! Leave us a review iTunes and we’ll send a personal shout out to you!